GreenPath Debt Solutions holds over 50 years in providing debt and financial services. The company charges a low monthly fee up to $75. Online educational resources: The company provides many online educational resources and tools to consumers, including newsletters, a blog, and more than ten financial calculators. Additional fees for some services: Only Greenpath’s debt counseling services are free. All other services require nominal payments. Additionally, consumers must obtain a credit report, which is not free, unless the customer hasn’t participated in the federally regulated allotment of one free credit report per year. 50-state availability: Greenpath Debt Solutions provides its financial services to all 50 states. Low transparency: GreenPath does not provide any information on what the average interest rates are for their customers. Additionally, many companies in the industry offer a money-back guarantee or some refund. GreenPath either does not provide a refund or does not provide any information on their refund policy. Major accreditations: Greenpath Debt Solutions is an accredited member of NFCC, COA, AICCCA, demonstrating a commitment to ethical business practices and a high level of expertise. Our recommendation: Due to their lack of transparency and limited reviews from customers, we are unable to rate Greenpath Debt Solutions very high. At this time, we recommend another company for debt consolidation and counseling services such as Consolidated Credit. General/credit counseling is free of charge. Cost for a debt management program varies depending on your state of residence and debt amount. There is a one-time set up fee between $0 and $50. Monthly fees range from $0 to $75. Housing services are free of charge. Credit reports are free of charge. You can obtain your own report at www.AnnualCreditReport.com, although there is a fee for the credit score, or GreenPath can provide you with an educational credit report with score for about $15. Reverse mortgage can be at no cost, depending on available counseling grant funds. If no funds are available, you can expect to pay between $99 to $125. Bankruptcy can also be free of charge, or cost up to $50 depending on your financial situation and service method. GreenPath has a mobile-specific website. There is not a downloadable app at this time. GreenPath has made it easy to stay connected via social media through Facebook, Twitter, YouTube, and LinkedIn. GreenPath’s debt experts work out debt repayment plans with all of your creditors and help you manage all of your debts, not just your credit card debt. Most competitors will handle only credit cards and unsecured debts. That model does not work as well as GreenPath’s approach because it addresses only part of your financial situation. Some services are free of charge such as credit counseling, housing services, student services, and credit reports. Other services may have a fee including debt management, reverse mortgage counseling, and bankruptcy counseling and education. These fees vary depending on your financial situation, if there are grant funds available, and what state you reside in. Consultation to help you understand your options is free. The first step for any client is to complete a free, no-obligation financial assessment with one of our certified financial counselors. The counselor would review your entire situation by going over the budget you created, customizing an action plan, and reviewing all available options. If you are not pleased in any way, you can quit at any time. There is no obligation. GreenPath was established in 1961 as a Michigan Credit Union League. In 1967, it became a nonprofit corporation. 2001 was when the name was changed to GreenPath, Inc. Since business has started, many offices have been opened across the country. Many services GreenPath offers are free. Costs for debt management plan consist of a one-time set up fee that ranges from $0 to $50, and monthly fees that range from $0 to $75 (this is based on your state of residence and debt amount). The fee for reverse mortgage counseling may range from $99 to $125. The service fee for bankruptcy counseling and education may be free or cost up to $50 depending on your financial situation and service method. Some other companies reward employees with a commission for each person they sign up on a debt management or debt settlement program. GreenPath does not. GreenPath counselors are certified, degreed professionals. More than 98 percent have earned at least a Bachelor’s degree. They understand that bad things sometimes happen to good people. They will always treat you with care and respect, and will never be judgmental. You can always contact GreenPath whenever you have a question or concern. There is even an option to speak to a representative with live chat online. You can rest assured that your information will not be shared with anyone without your authorization. Customer satisfaction ratings and GreenPath reviews speak for themselves. Services available through GreenPath Debt Solutions include debt counseling, housing services, debt management, student services, credit report review, and bankruptcy counseling. On the website, a client can access articles on varying topics of debt education. Also on the website, one can find a credit card debt calculator. This is a great visual to show total interest and payments, and how many months it will take to pay it off on your own or using GreenPath debt management plan. 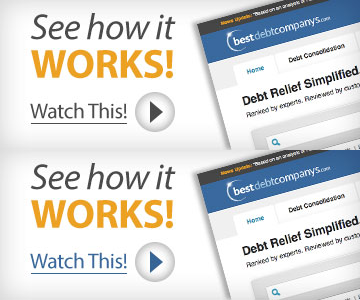 A monthly newsletter is provided to give useful debt education tips and advice. On the first and third Wednesday of each month, a financial webinar is presented to those who have registered. GreenPath University is another excellent tool. This online resource includes financial education, videos, e-courses and games. There is not a minimum amount of debt needed to have a debt management program with GreenPath. Wanting to consolidate debt and student loan had a free consultation and the debt part was OK, the student loan consult was a joke. The guy would basically ask you a question and then talk for 15 mins non stop reading from a script, I could have gotten the same info on the internet in uder 2 mins. That experience was enough for me to not use their services, also the debt consult was fishy and wanted to charge me 45 dollars a month to make my payments for “negotiating and closing” my credit accounts, I have no idea what they would negotiate on my behalf. Whole affair didn’t pass the smell test plus many negative reviews. Not sure exactly what the services they offer really are as you could do all of these things yourself and take the money you pay them to pay off your debt. Once your debts are paid off and your balance is zero, you will have to jump through hoops to close your account and stop them from monthly debiting of a fee. Good luck and make sure to plan the process on a day off when you have nothing else to do.